Hi there peps! How are you? 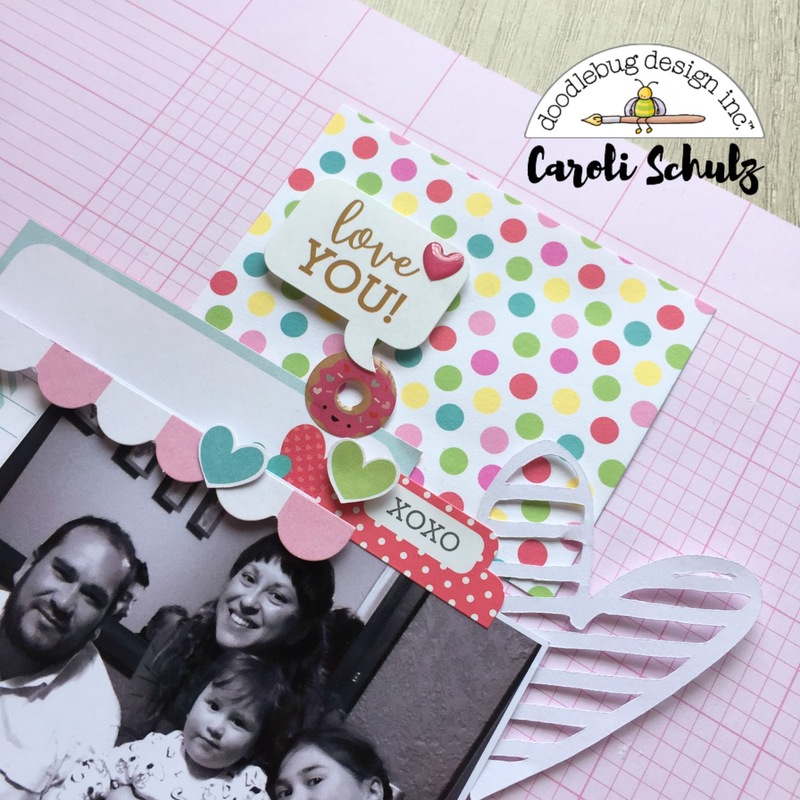 Caroli here sharing my take of this Thankful Challenge we have this week at Doodlebug Design DT. I love this time of the year, it's already spring in my side of the world and this means I am happy for no reason, I can appreciate good things of life and feel thankful for them. Having this in mind, I made these two layouts just to express how thankful I am for the most important people in my life: my husband and kids. First one features my family on the last birthday of my love last month. We have just a few pics of the four of us together, and in this one we all are looking at the camera and not moving or making a silly face, so basically it is a MIRACLE! LOL! I loved this pic, so of course I had to use it asap. I wrote a lot of journaling, as usual, expressing how lucky and thankful I feel for my family and for the current moment in my life. I thinks it's a good thing to do to write about happy times so this memories will help you going through hard times, when they come, don't you think? I placed a diecut heart I cut with my Silhouette Cameo just to create more layers, because who doesn't love a lot of layers, uh? For my title I used a yellow Abigail alpha, I love this new typography, it's cute and fresh! I combined it with some more words I cut withy Silhouette Cameo, the free font is Learning Curve. In this layout I created some kind of embellishment cascade using lots of Odds&Ends, Doodle Pops and Shape Sprinkles. 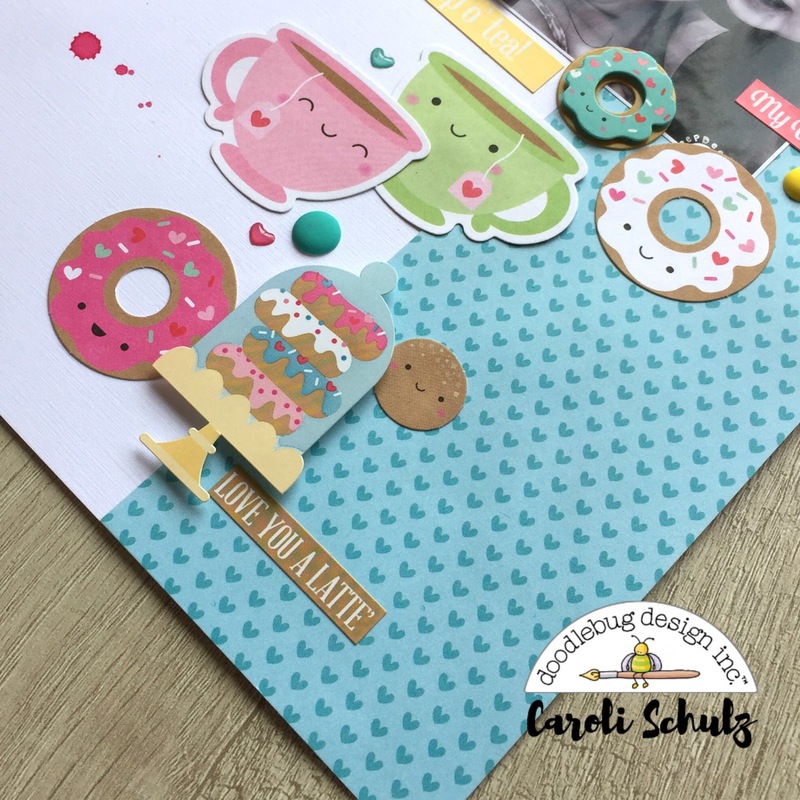 When it comes to embellishments, Doodlebug's are the best ones! I used this card from the Oods & Ends to write my journaling, this time I didn't get crazy writing, haha! I enjoy this challenge, it's good to have a reason to stop and think for a moment about good things in our life and for being thankful for them ♥ Hope this will inspire to create something now, have a great day! These are two adorable layouts !! I love the colours so much !